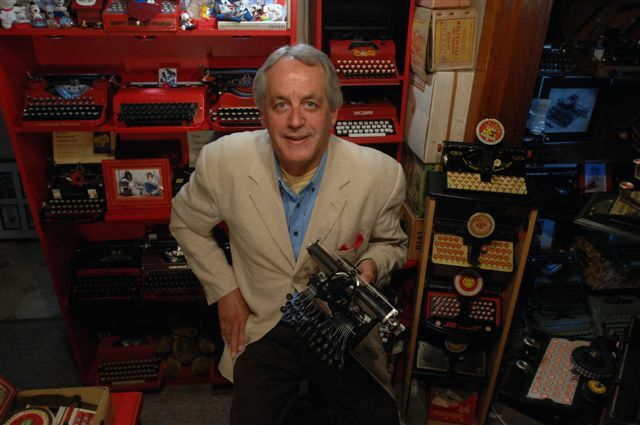 I should have known... thou shalt not doubt that RM even has a typewriter TIE collection! All of them vintage? Some of these are really beautiful. 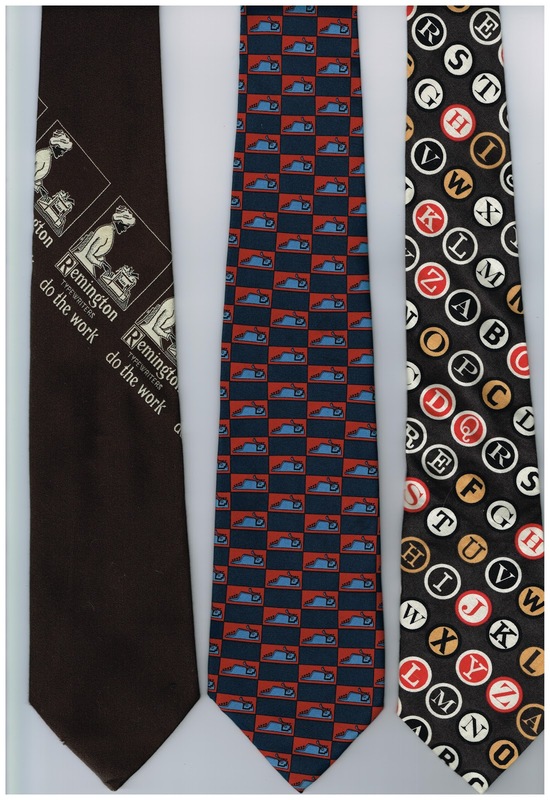 I've enjoyed wearing my keytop tie! Ha ha ha. What a great set! I think I've only seen one of these before, in some photo on your site somewhere. Thank you Georg, Richard and Scott. Great, first three comments from three deserving winners. 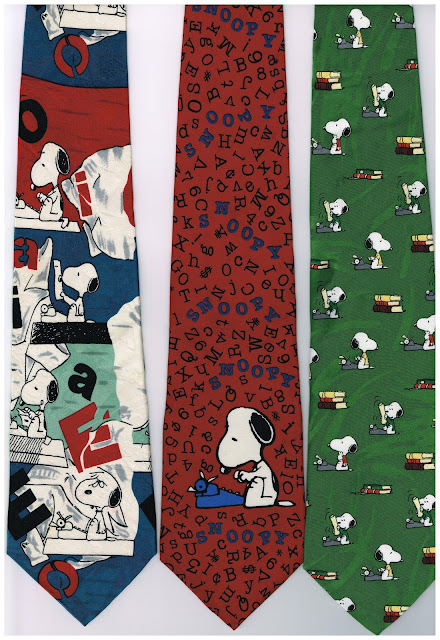 What I neglected to add was that the first three comments win a tie each. 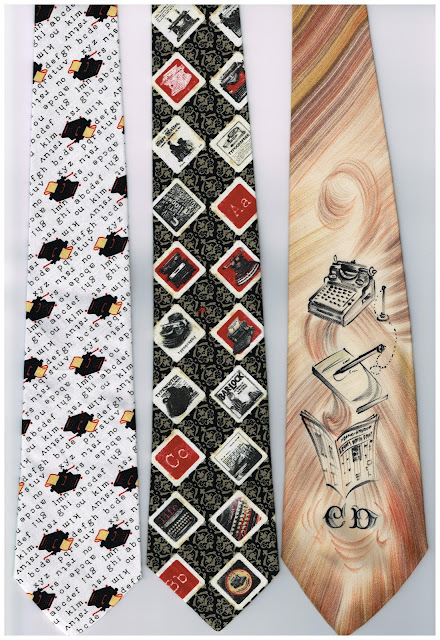 Your choice is one of the two ties on the left of the top image, the white one or the one with the typewriter ads etc in squares. Take your pick and let me know which one you want sent to you. Georg and Scott will now join Richard, Richard Amery and myself in one of the world's most exclusive clubs, wearers of typewriter ties hand-made in Canberra, exclusively for me. 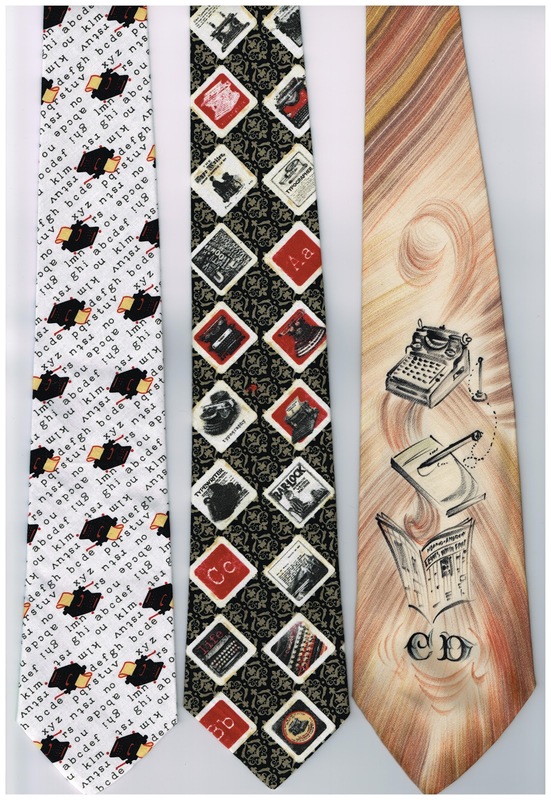 Georg, the hand-painted silk tie on the right on the top image (obviously made for a British journalist initialled "CD") and the Remington one might be described as "vintage". Three of them, the two mentioned above and the one Richard P mentioned, I had especially made up here for our little typewriter tie "club". 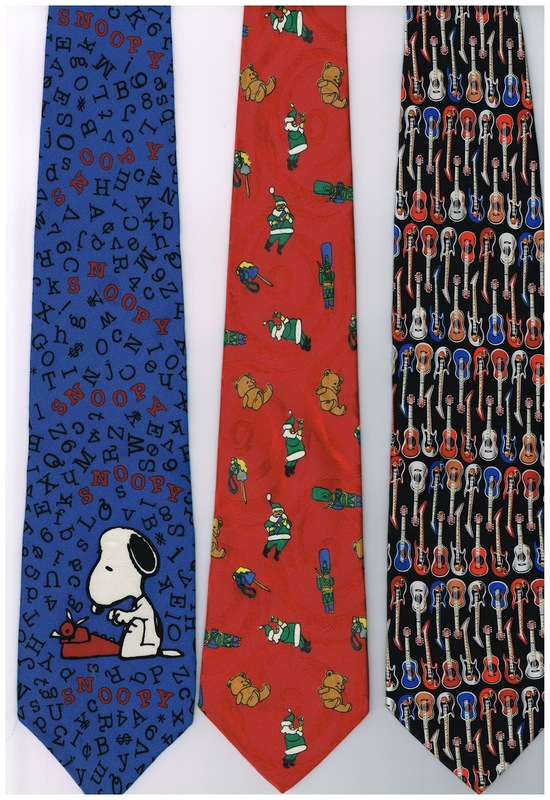 PS: It's OK if all three of you pick the same tie, there were four of each hand-made. I wore the white one to the Toulouse-Lautrec exhibition opening last week and it was a hit! Wow, thanks! I'll pick the one with the ads. Done! It might even make it to Cincinnati by Christmas!